In the years between the world wars, adventurous tales of FBI government agents—G-Men—and their fight against evil-doers played out daily in newspapers. G-Men became the popular heroes of the era. Kids all across the country dreamed of becoming agents, and the toys and games of the time played to the craze. Toy stores did a brisk business selling G-Men pistols, fingerprint kits, secret decoder rings and guides that told how to spot spies. 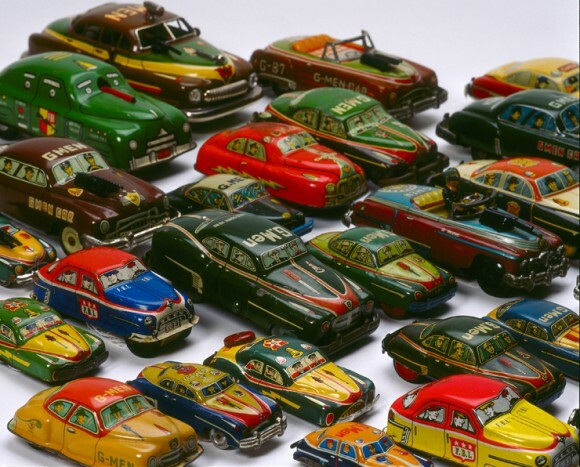 These toys are part of a collection of nearly 500 G-Men and FBI toys assembled by Harry A. and Joyce (Jody) A. Whitworth and purchased by the International Spy Museum in 2001.